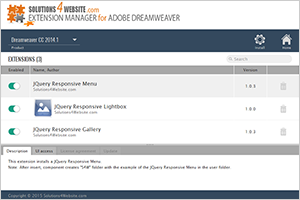 HTML5 Google Maps is distributed as an Adobe Dreamweaver extension, packed as a file, named JQGoogleMaps.mxp. Read more in the online help. Adding a Google Map to your website can be a difficult task as it requires some coding and script knowledge. But, with our extension, adding of Google Map to your website becomes quick and easy thing. HTML5 Google Maps inserts into your web page Google Map. Flexibility and functionality of the extension allow adjusting a map under any task. You can create a simple map with one object for some contact information or make convenient and beautiful tool for searching and displaying the information of many objects such as estate, hotels, restaurants, etc. You can specify any quantity of parameters for object description, add an image to it and even simple slideshow to the location. It is possible to specify the location of an object on the map in two ways, using address or latitude and longitude. You can use any image as a marker appearance. There is no need to tune it up through CSS to match your site's theme, everything is realized through User Interface. Component compatible with all modern browsers. Component is ready to work as soon as it appears on a page and is fast to respond. The installation package contains Dreamweaver extension, providing you the ability to easily create high-impact, HTML5-powered maps, all in Dreamweaver CS3, CS4, CS5, CS6, CC 2014, 2015, 2017 and CC 2018. Using the user-friendly interface, you can adjust colors, fonts, sizes, spacing and wide range of options that you can adjust according to your taste. You can easily create necessary objects groups using map editor. Through the map editor you can add marker icons, description, photos and info to the locations. Locations can be combined into objects groups. Objects groups and even separate locations can have their own marker icons. Map has an option to filter objects groups on the map. Map has additional info table under the map. It is used for a better navigation through the map objects and contain main object info. Table has sorting and search options. Each map marker can have info window that looks like a bubble and connected to a marker. 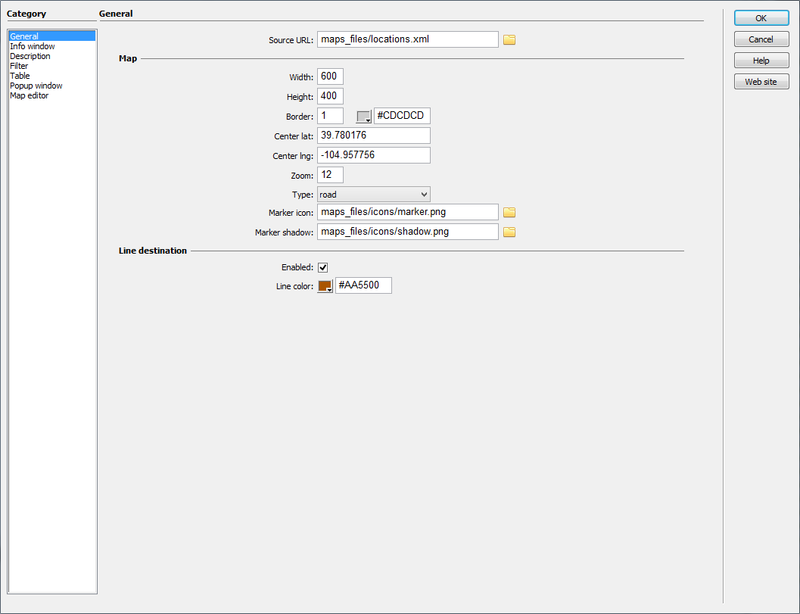 Info window can contain location thumbnails, link and description, which can be formatted using HTML. 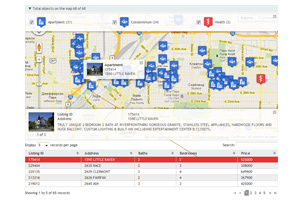 You can add different info and detailed description, which can be formatted using HTML, to a location. Images from the info window and location description can be opened as a slideshow in a popup window. HTML5 Google Map supports longitude and latitude coordinates as well as international addresses so that you can map any location on the Earth. Installation package contains Dreamweaver extension. Dreamweaver extension allows you to easily create HTML5 map. Extension has user friendly interface.